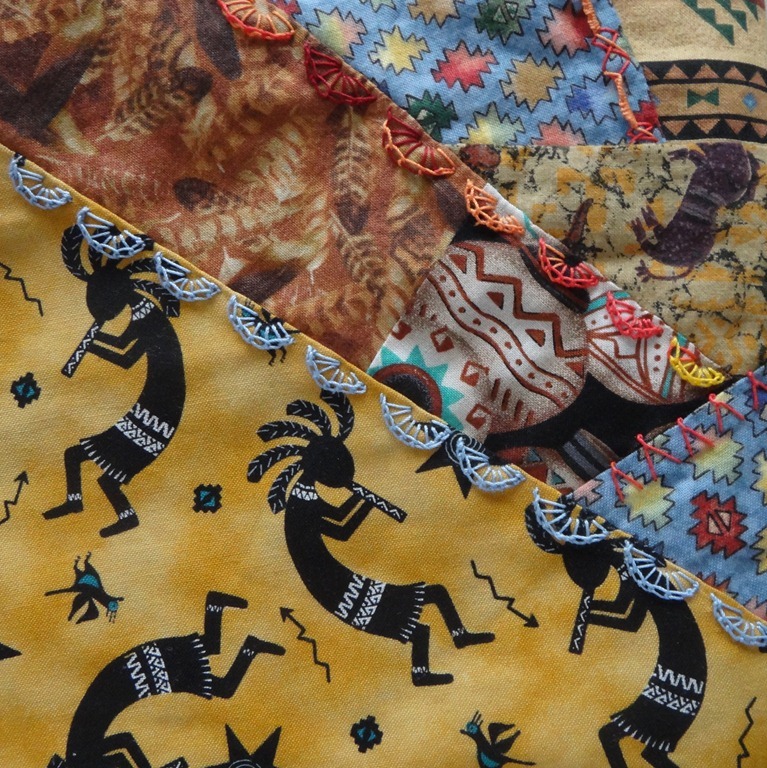 An interesting stitch this week on Take A Stitch Tuesday. 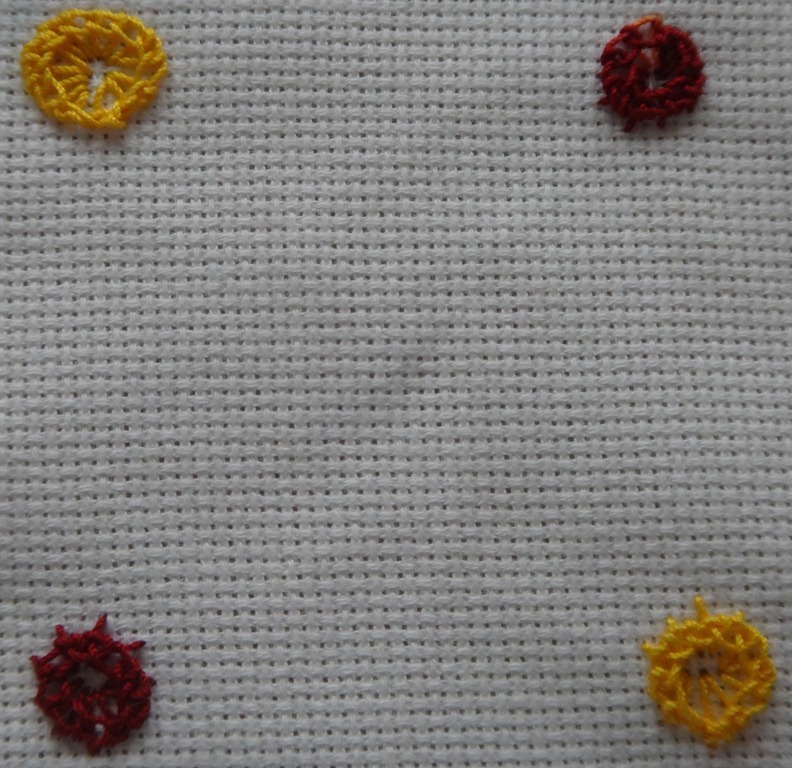 Called Buttonhole Wheel Cup Stitch it used button hole and detached buttonhole stitches. 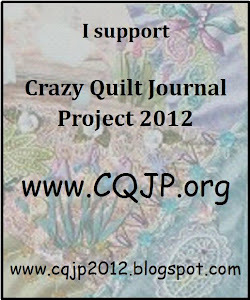 The 4th quarter of my Crazy Quilt Journal Project Block for October used the Buttonhole Wheel Cup Stitch. I did a half wheel instead of a whole one. Since I have another TAST stitch for October I will finish my block next week. This entry was posted in Buttonhole Wheel Cup stitch, CQJP, October, TAST. Bookmark the permalink.